I really pondered that question…Would I consider myself a fundamentalist? A charismatic? An evangelical? I have been thinking about that ever since and my answer is this: I consider myself a “Thoughtful Berean”. Please allow me to elaborate. I believe the Word of God is completely inspired by the Holy Spirit and is absolute truth. I have also witnessed in my 13 short years as a Christian miracle healings, speaking in tongues, and a woman who appeared to be demon possessed. I have also witnessed friends with rock solid faith who were not healed of cancer, going home to the Lord. Every day I pray and do a lot of research on dozens of topics and people within the Christian faith. People that range from John MacArthur to Joel Osteen; and movements ranging from the New Apostolic Reform to the Emergent Church. What I have learned from God is to resist the human urge to broad brush any one or any thing. Taking the easy way out and classifying any one or any thing as 100% good or 100% evil is a dangerous and short sighted thing. I see the word “heretic” and “antichrist” thrown out a lot on Christian posts and blogs. 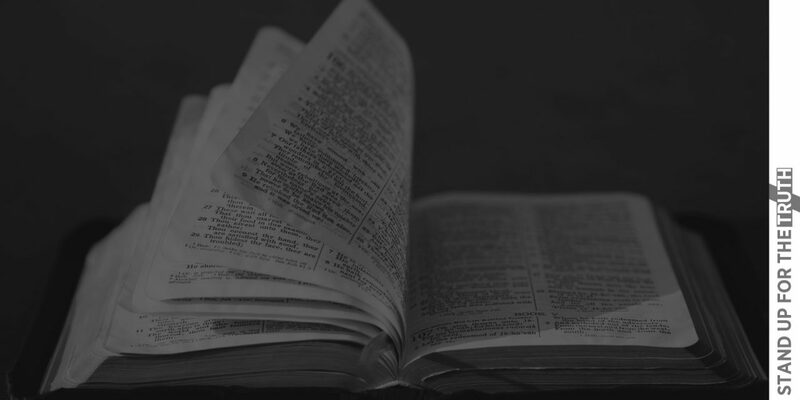 A solid teacher like John MacArthur defends something Rick Warren does and the blogs are buzzing, questioning if MacArthur is ‘selling out” to the Emergent movement. The fact is that every one of us gets it wrong sometimes when we interpret scripture. None of us, when we stand before God will hear “You did everything perfectly!” We only hope to hear “Well done, good and faithful servant”. 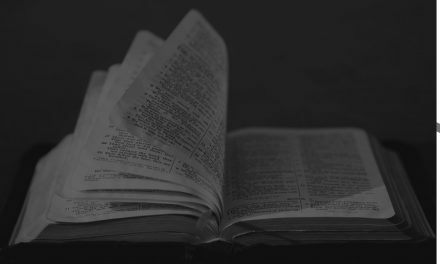 We must resist the urge to look at one action or word from a Christian that we disagree with, pouncing and denouncing that person as a heretic because he says something we disagree with. If the bar for calling someone a heretic is that they say something we disagree with, then we are all heretics. Being a Watchman or a Christian calls for humility, patience and wisdom—especially these days with the internet where anyone can say anything he wants, even if it is false. Rather we seek to find patterns when we assess whether people or movements have become false teachings. Are people or movements changing the character or nature of God as stated in His Word? Or do we just interpret a scripture a little differently than they do? It is not easy to be a Christian and disciple of Jesus Christ these days. The world hates him more and more each day and people who defend the character, nature and Word of God are increasingly seen as hateful, narrow minded and bigoted. And we have a church in America that seems to be in a state of confusion, not sure of what it believes at times. 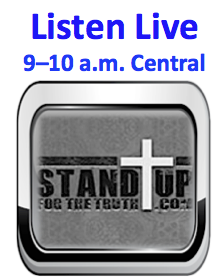 This calls for humility, wisdom and discernment as we sort through the changes going on in the American church. So I seek to be a “thoughtful Berean”. The Bereans were commended by Paul because they took no man’s words as truth—even Pauls’s—without searching the scriptures. The Pastor asked one more crucial question: “What do you seek to accomplish with Stand Up For the Truth”? The answer: To stamp out biblical illiteracy within Christianity. To lead Christians to become good Bereans, taking everything they hear from anyone and searching the scriptures to see if these things are so. 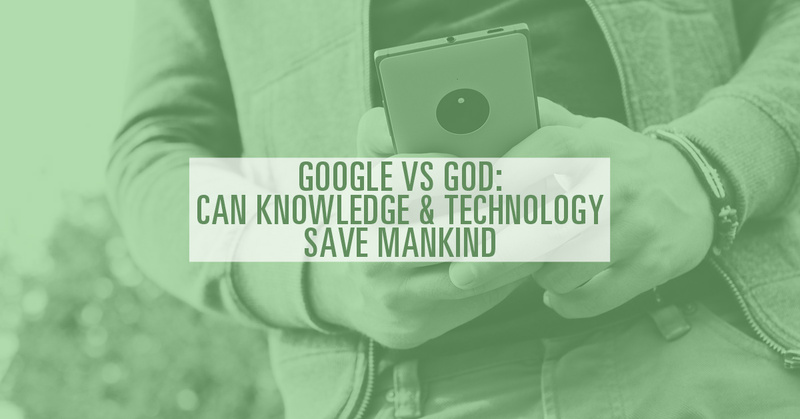 Google vs God: Can Knowledge & Technology Save Mankind? 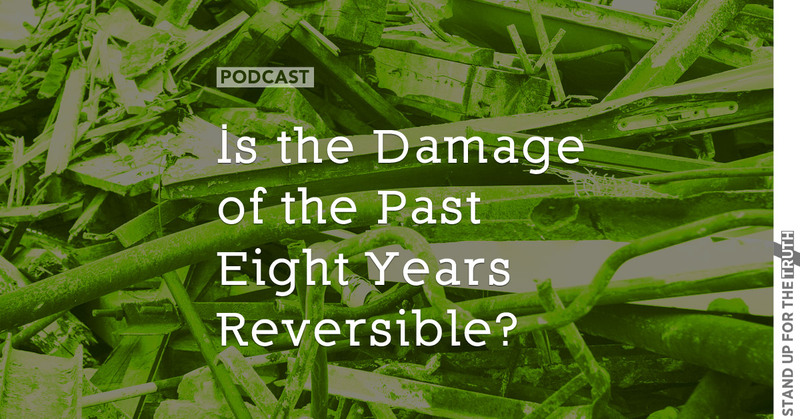 Is the Damage of the Past Eight Years Reversible?